The proposed offices for Amazon, 253 Summer St., overlook Fort Point Channel near the new General Electric headquarters. You can add Amazon to the list of companies beating a path to Fort Point. The e-commerce giant is finalizing a lease for a large office space at 253 Summer St., next to General Electric’s new corporate headquarters in a neighborhood that’s emerging as the epicenter of Boston’s tech economy. Amazon would take about 150,000 square feet in the historic yellow-brick former warehouse overlooking Fort Point Channel, according to sources familiar with the deal. The lease is not yet signed, but sources say Amazon and Synergy Investments, which owns the building, have an agreement in place. The tentative deal was first reported Thursday by real estate trade publication The Real Reporter. Amazon declined to comment, while Synergy president David Greaney said he was “legally bound by a confidentiality and non-disclosure agreement” and could not discuss the matter. Brokers said to be representing both sides did not return messages, and city officials had no comment. But since the start of the year, fast-growing Amazon has been hunting for space in Boston to supplement its presence in Cambridge’s Kendall Square. 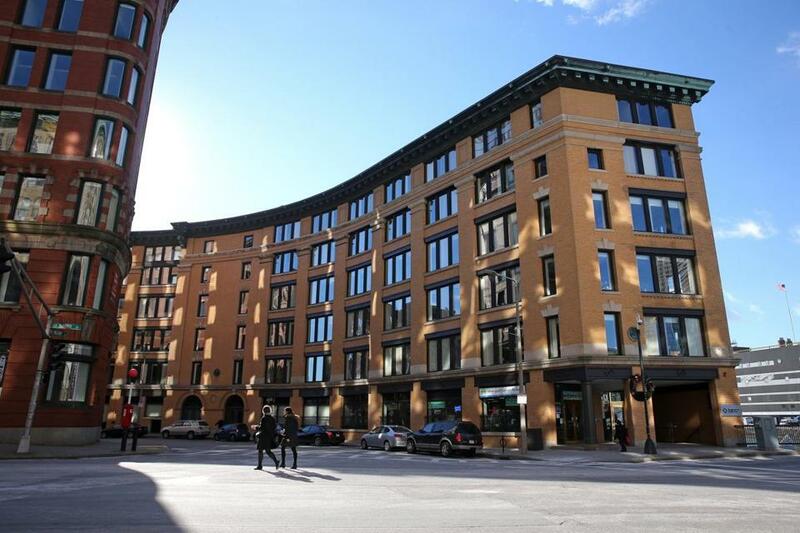 In February, it signed a deal to occupy most of a new WeWork in Back Bay as temporary space and zeroed in on downtown and Fort Point for a more permanent base for its Boston operations. It’s not yet clear when Amazon might finalize the lease, but most of 253 Summer has been empty since Partners Healthcare’s Neighborhood Health Plan moved out last year, so Amazon could move fast if it chooses to do so. Its new neighbors would include GE, which is designing a $200 million headquarters campus so close by that one of its buildings on Necco Court is connected to 253 Summer by an old pedestrian bridge, a remnant of the complex’s past as a waterfront candy factory. Meanwhile, software firm Red Hat, which just moved around the corner at 300 A St., and a host of tech startups have filled the district’s old brick warehouses. 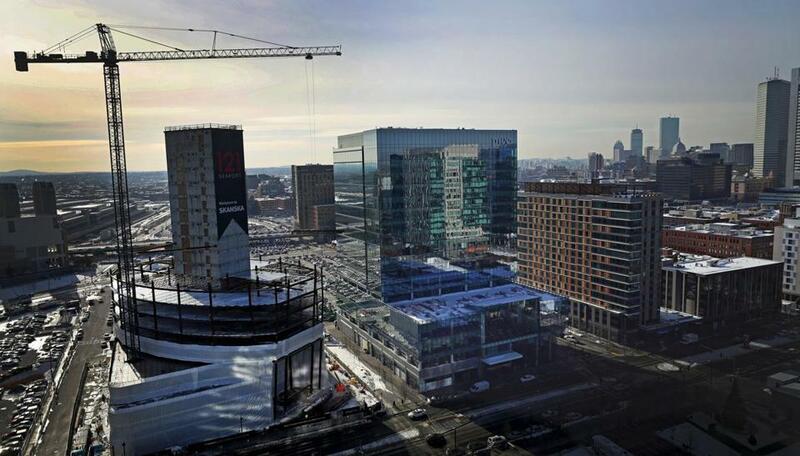 Construction is booming in the Seaport District adjacent to Fort Point. Fort Point’s quick evolution, and its attractiveness to top-tier companies, speaks to the changing nature of Boston’s office market, where old brick buildings are winning the sort of tenants who once perched high in the glass towers of Back Bay and the Financial District. Rents on low-rise, “Class B” buildings have risen far faster than “Class A” high-rises as more companies have shown a preference for funkier digs closer to the street. It also speaks to Amazon’s fast growth in Greater Boston. The company has repeatedly expanded in Kendall Square since opening its first office there about five years ago. Today, it rents 171,000 square feet at 101 Main St., about half the building, where — among operations — it conducts work on its Alexa voice-activated technology. It plans to keep that office as it grows across the river in Boston. Amazon also bought warehouse-robotics maker Kiva Systems in North Reading in 2012 and has expanded operations there. Last year, the online powerhouse opened a 1 million-square-foot distribution center in Fall River, and in February the doors opened at its first bricks-and-mortar bookstore in Dedham. The company also will take over the region’s two-dozen Whole Foods stores when that recently announced deal closes.